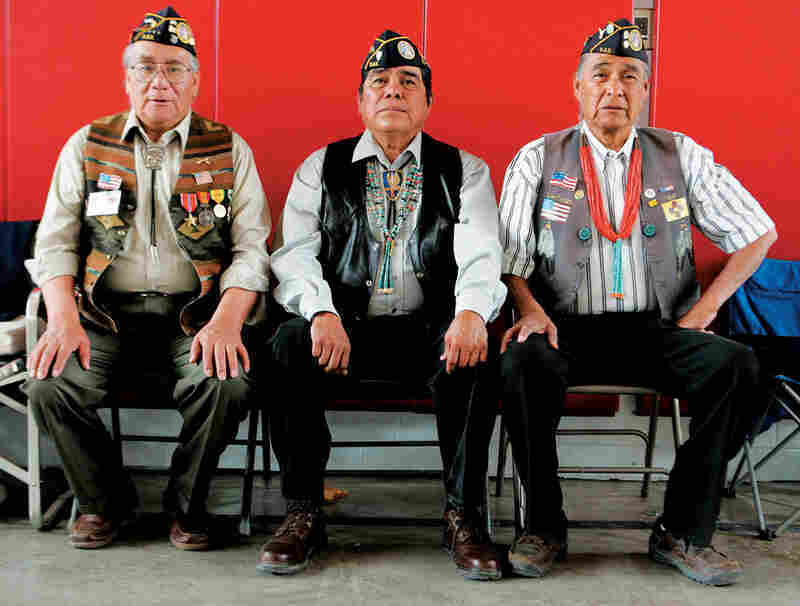 Native American Warriors In Iraq : The Picture Show Photojournalist Steven Clevenger has spent three years documenting the warrior tradition of Native American soldiers serving in Iraq. Photojournalist Steven Clevenger got his start in 1971 in Cambodia, when he was just 22-years-old. He has covered seven wars, including those in Iraq and Afghanistan. 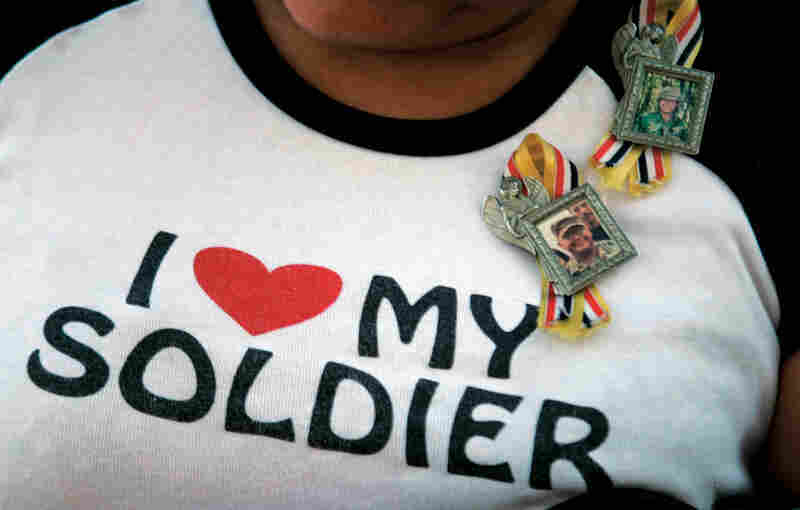 In 2006, Clevenger began a three-year project documenting the warrior tradition of soldiers serving in Iraq. His work resulted in his book, America's First Warriors: Native Americans and Iraq. 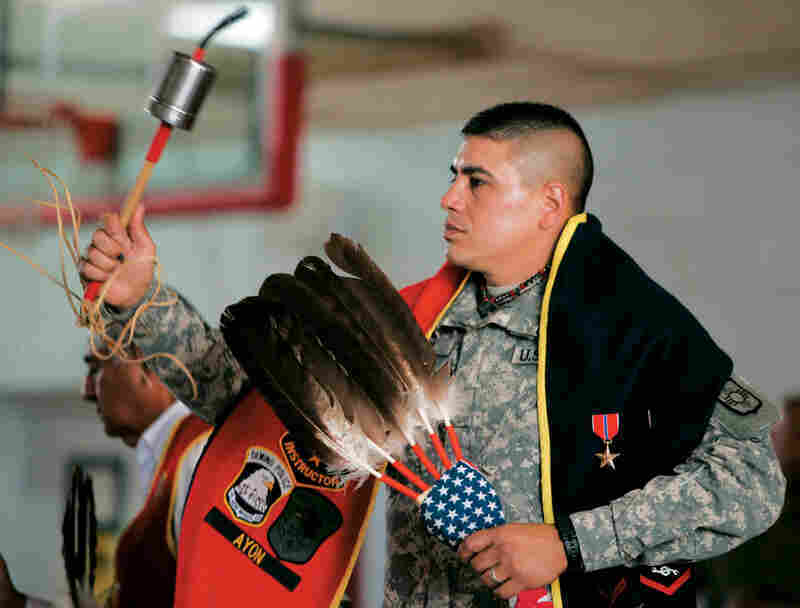 Lt. Bill Cody Ayon of the Tsitsistas, or Southern Cheyenne, participates in a Warrior Dance held at the National Guard Armory in Albuquerque, N.M. 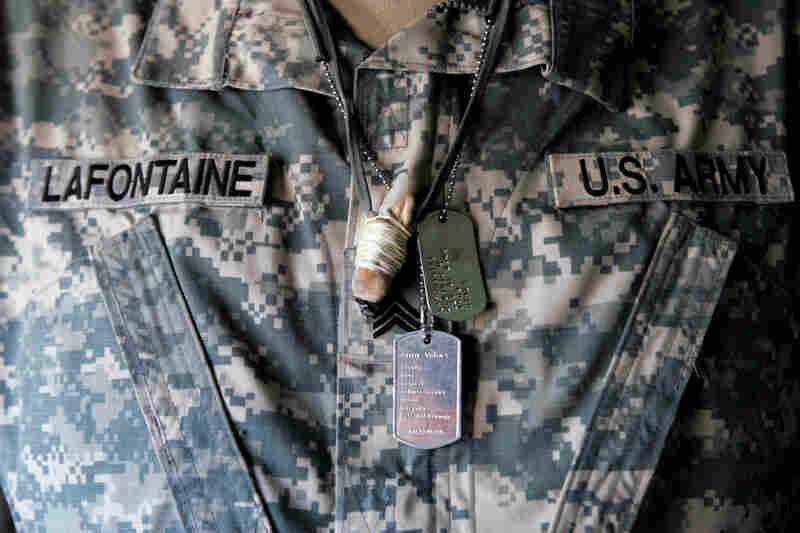 The Gourd dance blanket worn by Lt. Ayon is used to display military ribbons and awards. Ayon received a bronze star for running psychological operations in Iraq. Navajo Sgt. Dominick La Fontaine, Alpha Company, First Battalion, 200th Infantry of the N.M. National Guard, says what he knows about the warrior tradition comes from photographs of his uncles, who taught him how to be a man. A woman shows her allegiance to both her active duty son and returned veteran husband, who just returned from a year long deployment to Iraq. 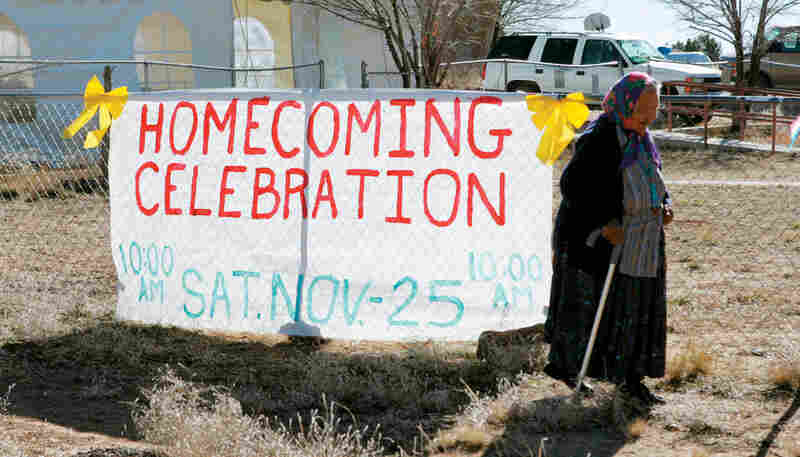 A homecoming parade was held in Rio Ranch, N.M. on Sunday, Nov. 19, 2006. 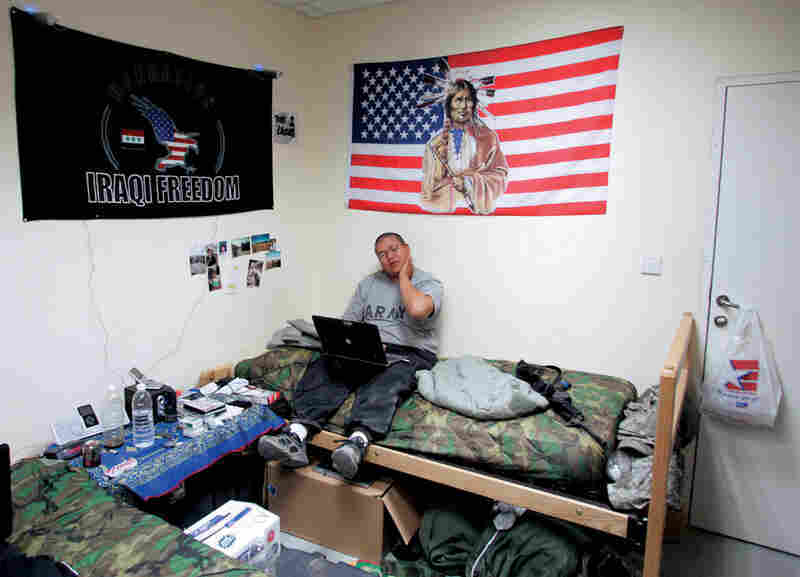 William Estevan, of the Navajo tribe, keeps in touch with friends and family from his barracks room at Camp Cropper, Iraq. Photos of relatives and views of his home near Acoma, N.M., plaster the wall. 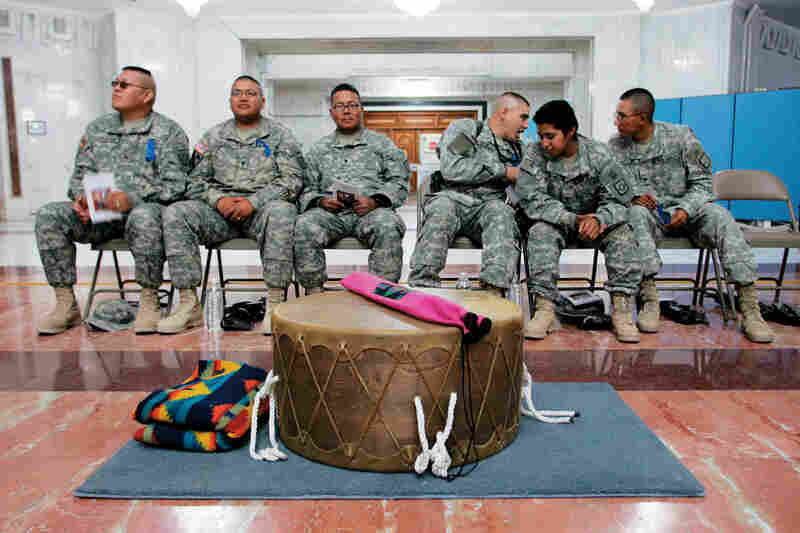 Soldiers take part in the Native American Appreciation Month celebration at Al Faw Palace in Camp Victory, Iraq on Nov. 7, 2007. A woman walks to the Ramah Charter House to welcome home Navajo veterans of the Iraqi war. Baily Henio holds three photos. In his right hand is a photo of his warrior grandfather, Jose Pino. In the center is a photo of Henio as a young soldier during World War II. The third photo shows his father, Jake Henio. An honor guard consisting of members from Santa Domingo Pueblo wait to present colors at Lt. Ayon's warrior dance in 2008. The Warrior Dance introduces young men to the warrior culture. 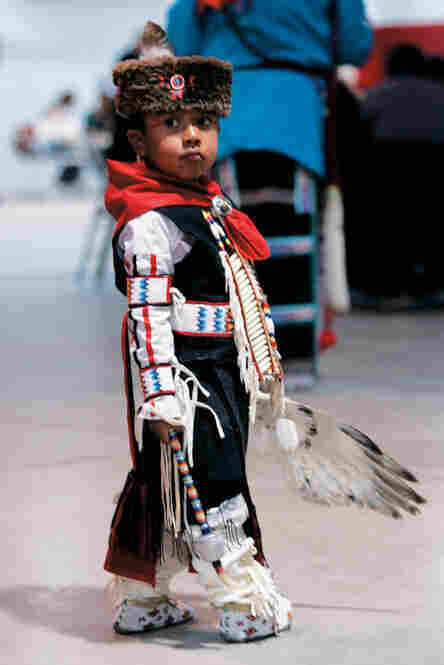 Here, a boy in tribal costume dances in honor of Lt. Bill Cody Ayon. As an Osage and a war photographer, he was fascinated by modern Native American warrior culture. The definition of warrior, he writes, has been basically the same since pre-Columbian times: "A warrior is the protector of his people." The same values inherent in that code -- loyalty, duty, respect, selfless service, honor, integrity and personal courage -- are elements necessary for a successful U.S. Military career. Clevenger spent time embedded with Native American military members in Iraq in both 2007 and 2009. 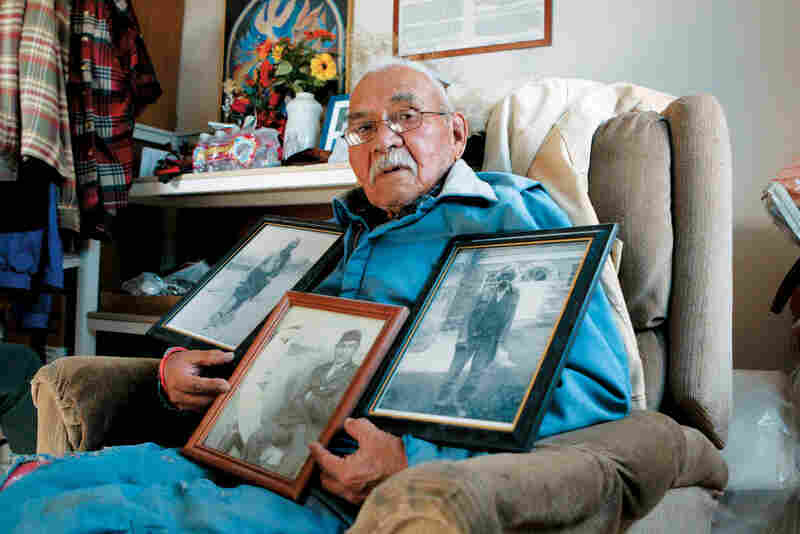 He took photographs and interviewed Apache, Navajo, Osage, Pueblo and other Native military members, capturing how their culture affected and informed their wartime service. He also attended traditional ceremonies in the U.S., such as the War Mothers' Dance and the Welcoming Home/Cleansing Ceremony. He spoke with the soldiers' families about the Native traditions meant to protect, honor and provide solace to the warriors.